Here is List of Upcoming Hollywood Films in 2017 with Release Dates Calendar for all New English Films. 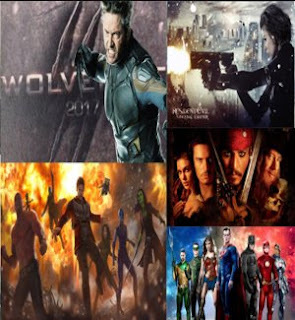 We are provides latest update complete list of upcoming hollywood films With their Star Cast lead actors & actress information. This year something big budgets & sequel movies scheduled release makes 2017 best year for movies. This year hollywood will be releasing biggest movies like for example Fast & Furious 8, Pirate of the Caribbean 5 and Chris Pratt's Guardians of the Galaxy Vol. 2. Star Cast:- Tom Holland, Zendaya, Robert Downey Jr. So these are the upcoming films that the viewers are waiting to see. And this list includes some animated cartoon films which are liked by the children. There are some movies which have not been added to this list due to lack of accurate information.